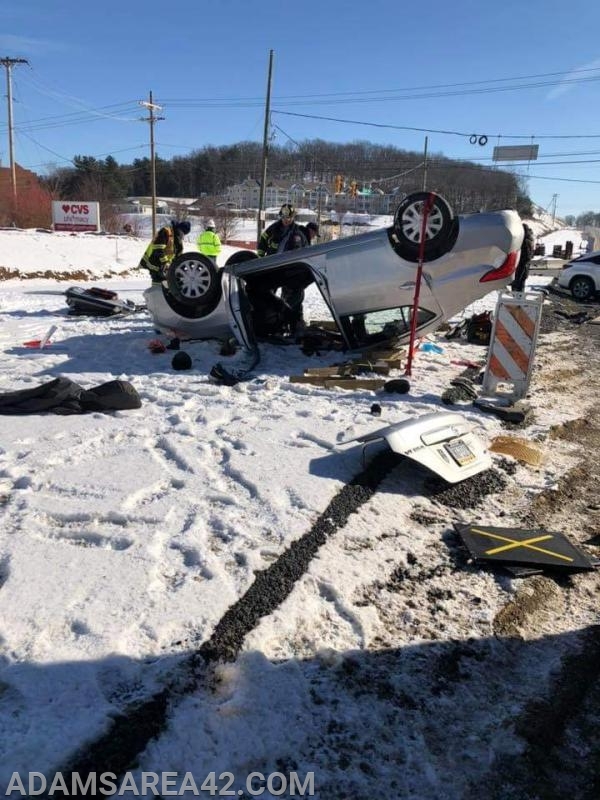 Today Adams Area Fire District crews worked two MVC’s at the intersection of Route 228, Pittsburgh Street, and Warrendale Road in the township. 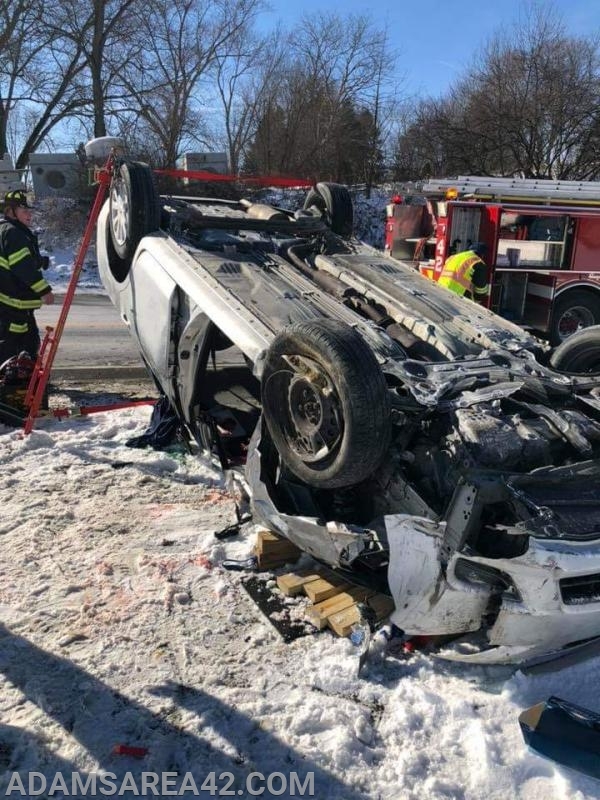 At 10:35:27am the tones were struck alerting Stations 42, 19 (Callery), and 76 (Quality EMS) for a two vehicle MVC with one vehicle rolled over with entrapment. Rescue Engine 42-2 was enroute with 4 in just over a minute at 10:36:28am, and on scene in under 3 minutes at 10:38:17am. 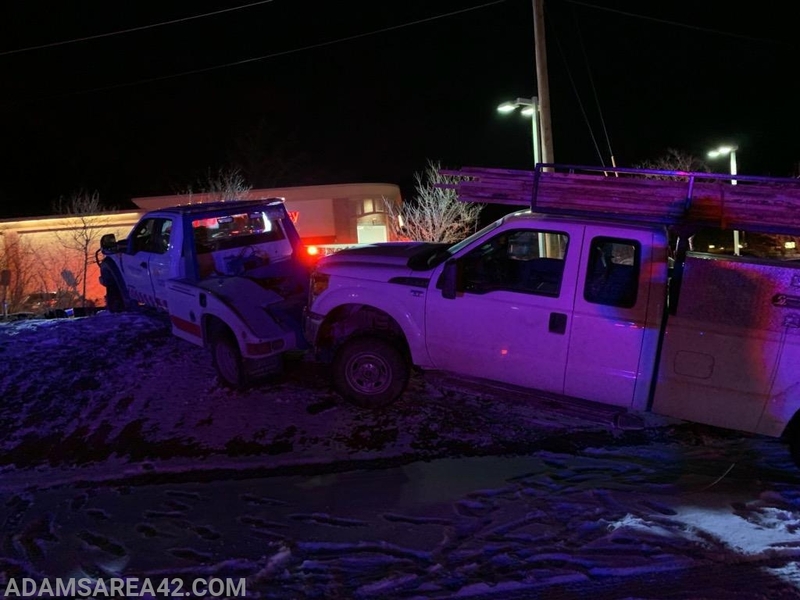 Crews arrived to find one vehicle in the intersection with moderate front end damage, and the second vehicle on its’ roof with the driver still inside in the construction zone of the new under construction roadway. 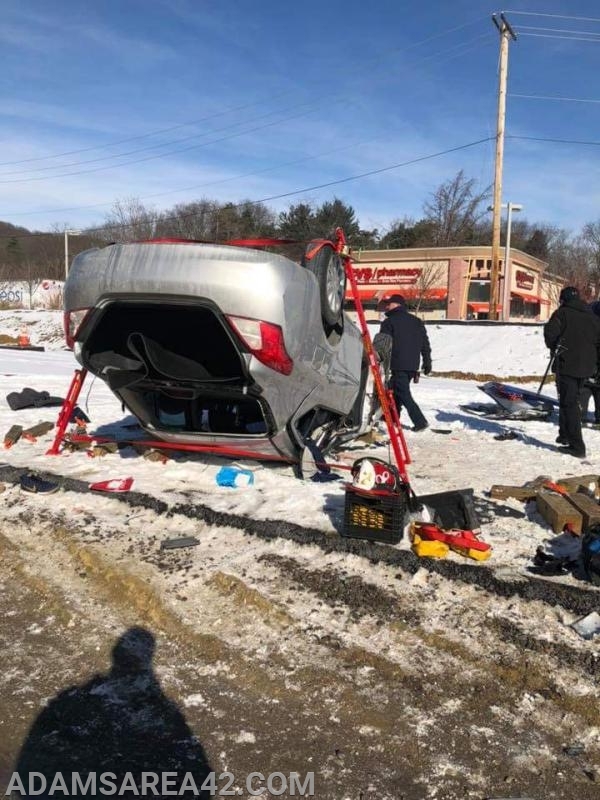 Route 228 Command was established by Captain Mellinger with the crew implementing a plan of extrication utilizing air bags and extrication tools. Assistant Chief Sokolowski took over vehicle stabilization as the crew went to work. Air evac was requested immediately with the obvious prolonged extrication due to significant entanglement. Station 21 (Cranberry) was also alerted to assist with manpower. Chief Llewellyn arrived on scene shortly after and command was transferred. 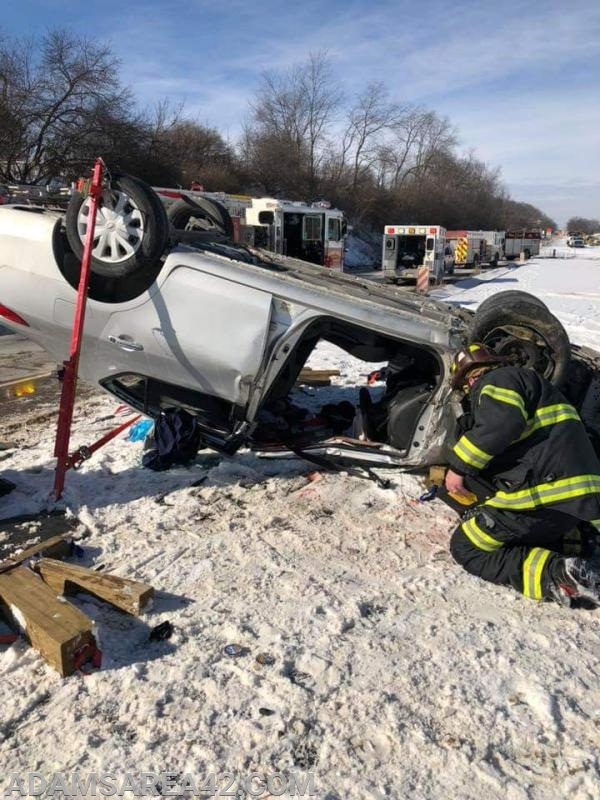 Engine 19 and Rescue 21 arrived and were tasked to assist in extrication while Lieutenant Cuadrado was tasked with patient protection as the inside rescuer. The patient was extricated at 11:01am and transported by EMS to the nearby LZ at the Mars V.F.W. The patient was then flown to UPMC Presbyterian by STAT Medevac. 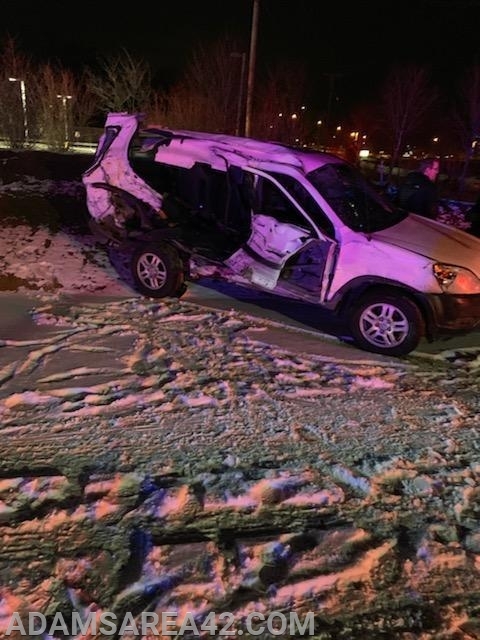 The driver of the other vehicle was uninjured. 19 and 21 crews were released from the scene as Adams crews remained on scene to assist with traffic control and road closures as Adams Twp. PD, with the assistance of the Pennsylvania State Police Accident Reconstruction Team, to investigate. The cause is still under investigation. Crews were released and the road was re-opened at 2:30pm. 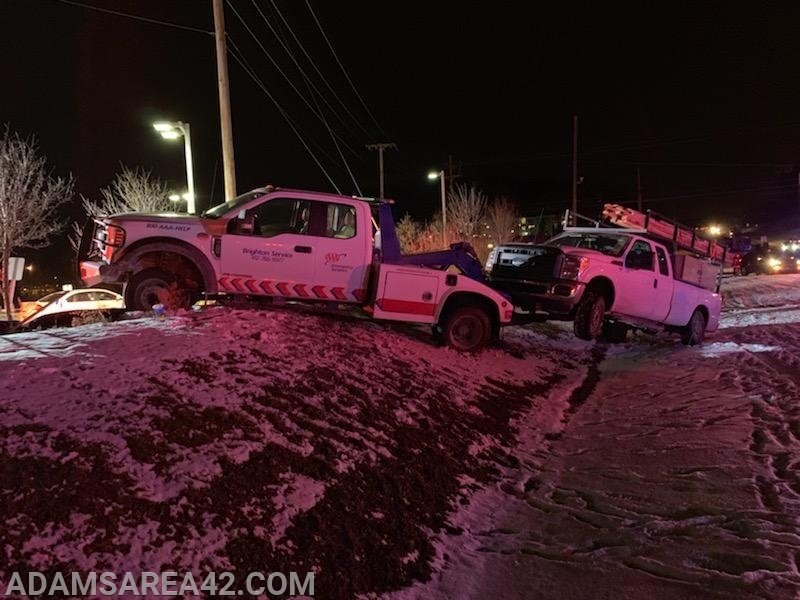 At 8:04pm, Stations 42, 19, and 76 were again alerted for a two vehicle MVC at the same intersection. Rescue Engine 42 was enroute with 4 at 8:09pm. 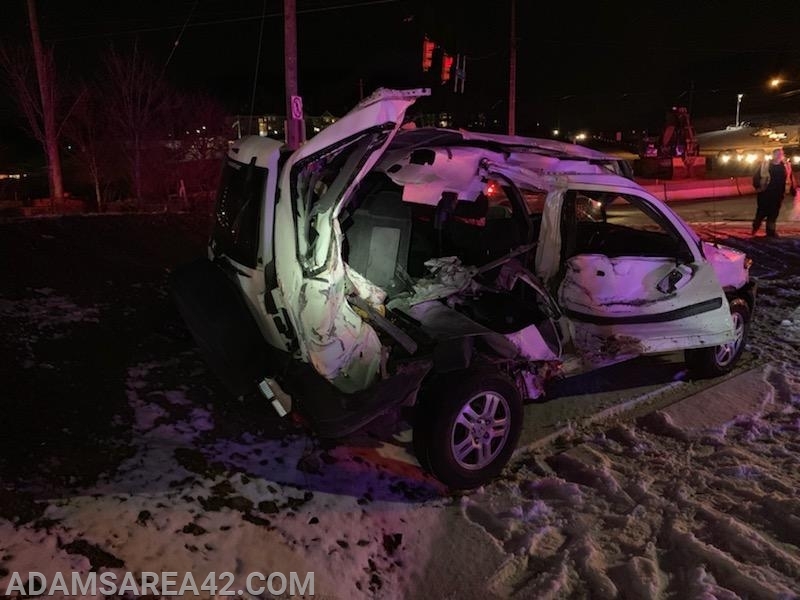 While enroute, updates were received from EMS on-scene stating no entrapment with both drivers out of the vehicle, establishing Route 228 Command. 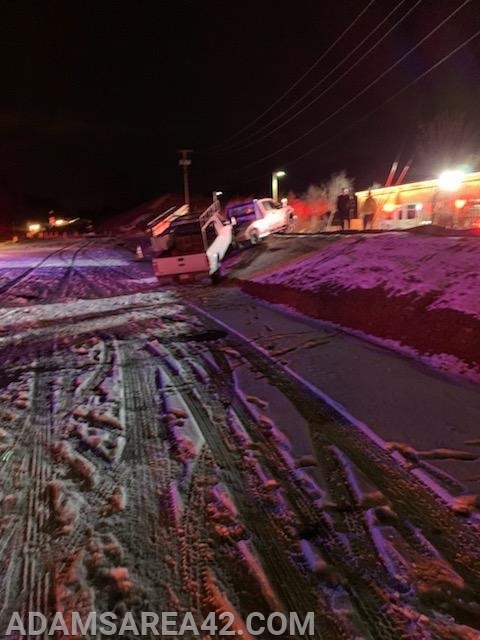 Rescue Engine 42-2 arrived on scene at 8:12pm to find a tow truck with a pick-up under tow across the new under construction roadway and up the embankment to the adjacent CVS Pharmacy parking lot. The second vehicle was resting in the new roadway as well with heavy damage to the passenger side. A report was received from EMS stating two patients with minor injuries. Command was transferred to Captain Mellinger. Engine 19 arrived shortly after and crews were tasked with vehicle securement for safety and roadway clean-up. Both patients were transported to area hospitals for treatment. Crews returned in service at 8:30pm.